Coming from the world of graphics & animation combined with great passion for teaching, Eran has taken upon himself to “Spread the Word” of his expertise on Motion Design. He’s a recognized Adobe expert trainer and a desirable speaker in demand, and as such,he is the author of many poplar video tutorials and training series for Lynda.com,CreativeCOW, Adobe, Artbeats and others.He teaches at local and international conferences like NAB, After Effects World and Adobe Video World and is part of the creative team at Future Media Concepts.In 2007, Eran founded SternFX.com. A training hub with many free tutorials, training and active Hebrew forum. 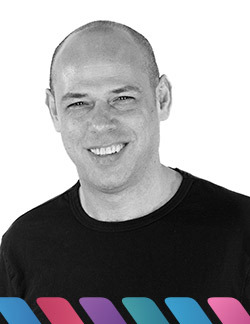 Besides SternFX, Eran is also the head of Motion Graphics department at Shenkar – Engineering. Design. Art.He lives on the verge between geek and cool. 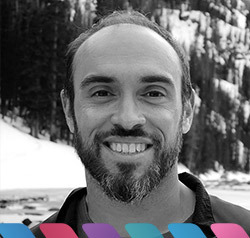 Dan Ramirez has 14+ years of experience in the trenches of Adobe software engineering. Passionate about the intersection of music and technology, Dan started his QA career in Seattle working on Adobe Audition. After 9 audio patents and looking for a new challenge, he moved onto the After Effects team. He is currently a Senior Quality Assurance engineer on the only Adobe application that can truly appreciate his cartoon voices, Character Animator. When he's not sitting in the television studio with Homer Simpson or backstage at Comic-Con with Sterling Archer, you'll find him building Rube Goldberg machines for live music performance and otherwise pushing the limits of Character Animation in general. Mair is an independent animator and illustrator based in the midlands of England. Her animation company, Mair Perkins Ltd, has been in business since 2012 but she’s been creating short animated films with After Effects since 2007. She loves making character and story driven explainer animations so spends a lot of time exploring different illustration styles and ways to build character rigs. Occasionally she teaches After Effects sessions at her local University and has taught After Effects at an Adobe Certified software training company. Her clients include the World Economic Forum, the BBC, the Peak District National Park and many Universities, scientific researchers and health charities. 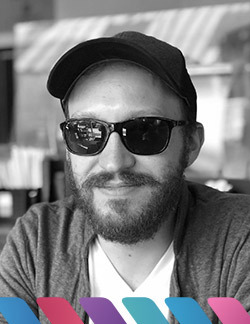 EJ is an Emmy award winning freelance 3D artist and educator who has hosted over 150 tutorials on his blog Eyedesyn.com that is watched by thousands of people every day, as well as teaching a comprehensive 10-week course on learning Cinema 4D on School of Motion. His positive energy, engaging style, and passion for teaching and inspiring others has led him to opportunities to speak at conferences and meet ups across the globe. He’s a craft beer geek who tries more different beers in a year than most people do in a lifetime. 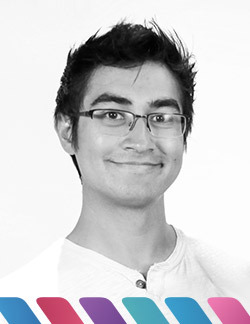 Zack is a 2d Technical Director and all-around motion nerd. Having worked in the motion field since 2008, he leverages over a decade of animation experience to help studios and artists find ways to smile more and pull out their hair less. 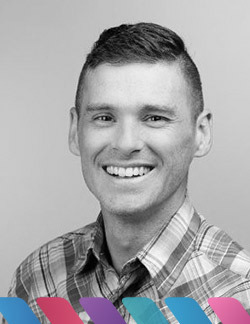 A true Canadian, he brings a dash of maple syrup and politeness to pipeline and workflow consulting, internal and commercial tool development, and when exploring the far reaches of data-driven animation and automation. He's worked directly with all manner of animation studios and tech companies big and small, and his tools have been used on just about every other major motion piece you've seen recently. Robyn Haddow is a freelance FUI motion graphics artist and designer based in Vancouver, BC. 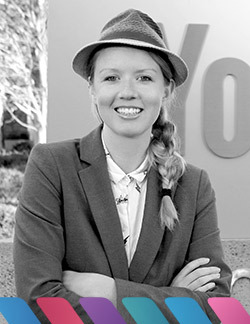 Robyn specializes in future tech design for screen graphics and holograms in film and television. Feature film work includes credits in the Marvel Universe (AntMan and the Wasp, Spiderman Homecoming, Guardians of the Galaxy Vol.2, Thor) and several television series in the DC Universe (The Flash, Arrow and Legends of Tomorrow) among a number of published works on network television and streaming services like Netflix and Facebook. 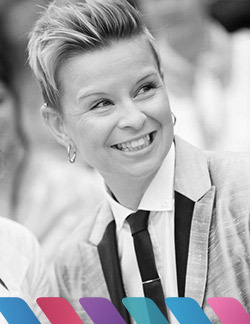 Robyn has a background in AAA game cinematics and marketing game trailers, Deus Ex: Human Revolution, FIFA, Madden, UFC, Batman: Arkham Origins, Beyond Civilization and XCOM to name a few. As a frequent software demo artist and presenter, Robyn loves After Effects and Cinema 4D. Kelsey Brannan is the creator of Premiere Gal, a YouTube community with over 120,000 subscribers focused on video, photo and audio production. 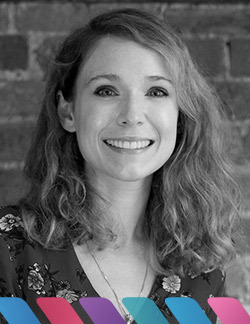 She is also the Head of Creative Growth at Wipster, a video feedback and collaboration tool for creators, teams and businesses. Jess is a motion designer from Winnipeg, MB but she is so much more. She has competed in a kickboxing match and is quite certain that no project, animated or otherwise, will ever be as challenging as being kicked in the face. She's an animation instructor as well as the founder of Ubuntu Motion, a studio that collaborates with clients to discover their unique stories and brings them to life through compelling visuals. 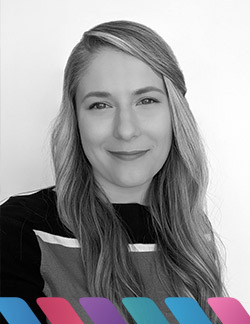 Jess has worked with local and international clients on animated explainers, graphics packages for documentaries and most notably, the intro credits for the Netflix animated movie, Next Gen.
For nearly a decade, Daniel “Hashi” Hashimoto worked for DreamWorks Animation's visual development team. Since early 2014, Hashi has been using his VFX skills to turn his young son, James’ playtime into the viral web-series "Action Movie Kid" with over a million followers across social media. Hashi used brought that same imagination to life co-writing and direct over 60 commercial vignettes for Toys 'R' Us - and is now a Senior Content Creator at Red Giant, creating their series "Cheap Tricks". Hashi still consults for Disney, Sony, and Warner Brothers on upcoming feature film projects and is developing new and fun ideas with his writing partners.